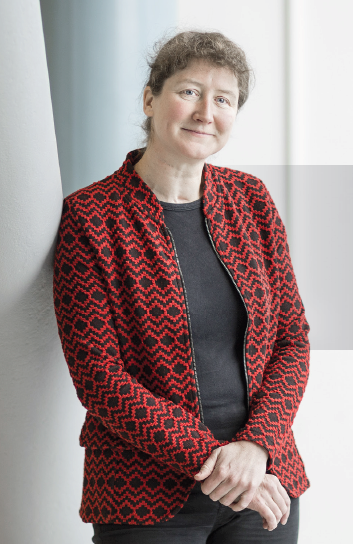 With her lecture, Professor de Jongh will officially be inaugurated as Chair in Inorganic Nanomaterials. The inaugural speech is entitled “Nanomaterialen: De Kracht van het Kleine” (“Nanomaterials: Small is Beautiful”). Fossil sources are of great practical use as fuel or raw material. However, burning Fossil fuels causes global warming and they are formed too slower over time than they are consumed. Solar and wind energy seem ideal alternatives; they are ample in supply and clean. De Jongh studies ways to store electricity generated by wind or sunlight in batteries or in the form of hydrogen, but she would also like to make other fuels and chemical building blocks in a more sustainable manner. In her inaugural speech, Petra de Jongh presents sustainable ‘dream scenario’s’ and how the research to special characteristics of nanomaterials –derived from the Greek νανος, which mean ‘dwarf’- can contribute to the realization of these scenario’s.